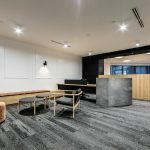 IA Design was engaged by Credit Suisse to deliver 2 show suites within level 6, 190 St Georges Terrace. 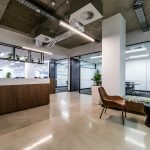 The final design is two contemporary show suites showcasing the benefits of modern workplace design. These show suites were designed with flexibility in mind and incorporate different working styles. Studies show that workplaces that provide employees a greater control over their physical workplace and that are given the ability to work how they want to, have higher workplace satisfaction and employee engagement. The final show suites are two flexible and modern spaces that will appeal to a wide variety of potential tenants.